When changing document DPI, why do only some things change? Windows 10 Home 1809, Publisher 1.7.0.257. When I change the document DPI, some things change but others don't. The first image shows the document at 300DPI. The second image shows the same document at 144DPI. The visible size of the corners of the rectangle increase - the absolute sizes in the context bar have also increased - and so has the visible width of the paragraph decoration - but the sizes in the Paragraph panel are as before. However, the thickness of the rectangle stroke is the same, as is the size of the text and also the height of the text decoration. Why do some things change and some others don't? I changed the document units to pixels and that seemed to 'fix' it. I would say this is a bug in that the corners and the decoration are being resized if the document units are in Points. I changed this by using the rulers. On the rectangle you have Absolute Sizes ticked in the context toolbar. Untick that and it will resize correctly. Old Bruce, I agree that it looks like a bug (see also below). Your 'fix' sounds interesting. I'll have to try it. Thanks. 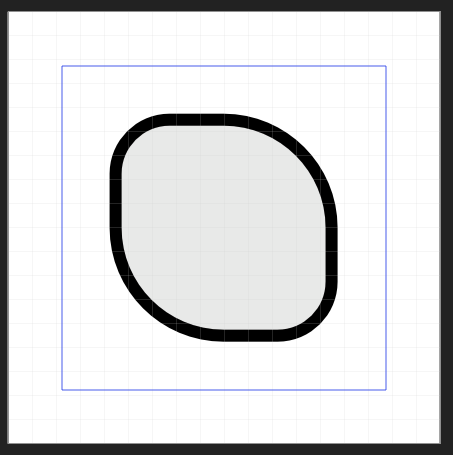 carl123, going round setting all of the corners in the document to not Absolute Sizes, then changing the DPI, then going back and changing the corners back again - assuming that I don't miss something along the way - sounds like it would be a bit of a pain. I want to set an absolute value and keep it as I set it. * Set the grid to be visible with a Spacing of 72 with 18 Divisions. This gives you the document attached as dpi-change-before.afpub (first image) which is all well and good. No problems there. However, now change the DPI of the document to 72, attached as dpi-change-after.afpub (second image). * The document still has the dimensions of 144pt - that's good and as expected. * The margins have all been reduced to 18pt - why the change? I wanted 36pt so isn't that what I should still have, even if this means - in this particular case - that the area within the margins should be effectively of zero size? * The X,Y,W and H of the rectangle are all as before - that's good and as expected. * The width of the stoke is still 4pt - that's also good and as expected. * The sizes of the corners of the rectangle have changed to be 18pt and 36pt - why the change? I set them to absolute values. The size of the rectangle - set by absolute values - has not changed so why do the sizes of the corners - also set by absolute values - change? 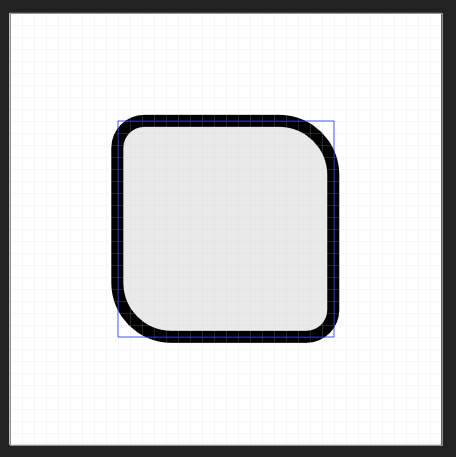 Or, to put this the other way round, if the corner sizes change, why doesn't the size of the rectangle also change? To be clear, I don't think the the corner sizes should change. * The grid has also changed to a Spacing of 144 with 18 Divisions. Why the change? I set it to 72 with 18. So, I have to ask the question again, why do some things change and others do not? Some things seem to change to 'accommodate' the difference in DPI but others don't. There are inconsistencies there that I don't understand.